Training program for Ukrainian volunteers took place in Munich from April 2 to 10. It was organized by Munich Kiev Queer contact group together with GAU. 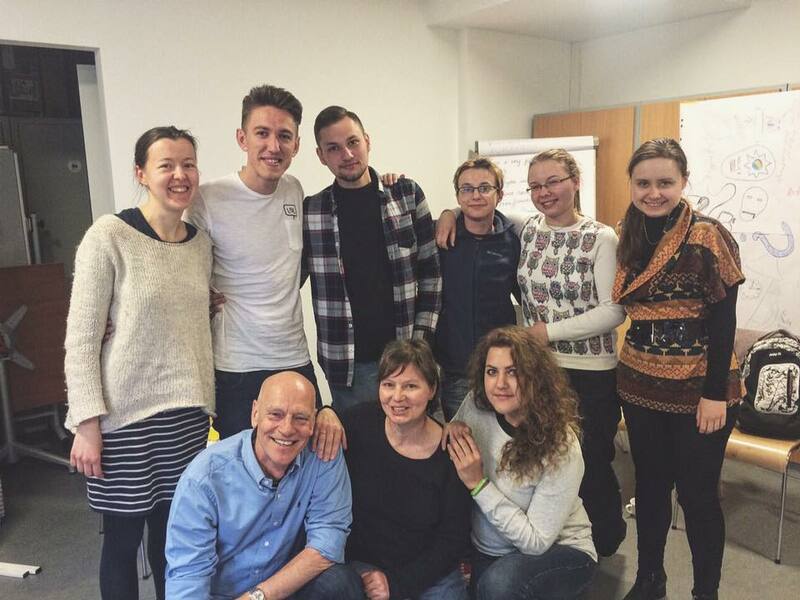 Seven Ukrainian LGBT volunteers came to get to know Munich volunteer movement, share experiences and knowledge. Volunteers staying in German families during the program also promoted cultural exchange, most events and meetings directed at sharing experiences were held in Sub gay centre. Program started with some history of LGBT movement in Munich. Manfred Edinger, Sub co-organizer, told about an initiative group appearing on the volunteering grounds 30 years ago and about the way they had to go together. Besides, Ukrainian volunteers learned that German LGBT movement differed radically from Ukrainian realities as men, women and trans directions were actively evolving at the same time as well as different interest groups for LGBT. The volunteers were communicating with NGO organizations and groups members, got acquainted with LeTra (organization supporting lesbians and transgender women) representatives, learned about groups and projects of Sub gay centre and Münchner Aids-Hilfe centre of helping people having AIDS, were talking about life of transgender people in Germany with Trans-Vereine volunteers and had one meeting dedicated to intersexuality. Lots of groups for homosexual and transgender people united by common interests exist in Munich. It’s difficult to imagine many of them working in Ukraine but nevertheless they are really interesting. So volunteers met LGBT policemen creating Velspol in Bavaria union. It was very interesting to talk to the volunteers of Diversity youth organization uniting LGBT people of 14-27 years old. Besides, volunteers met lesbian and bisexual mothers of LesMamas organizations and ElternGruppe group of parents of LGBT children, meeting in Sub. Ukrainian volunteers had guided tour all over LGBT places of Munich and they learned the story of gay quarter appearing and evolving from ghetto to one of the most prestige places of Munich. “I had this unique opportunity to go to Munich, get to know local volunteers, learn how local LGBT organizations work and how long and thorny their path to today’s success was. I dream of human rights and freedom of self-expression regardless sexual orientation and other aspects of personality being so advanced in Ukraine that volunteers from other countries would come to us for experience and support,” program participant Maria wrote in her blog. You may read the impressions of our volunteers in blogs on Munich Kiev Queer website.